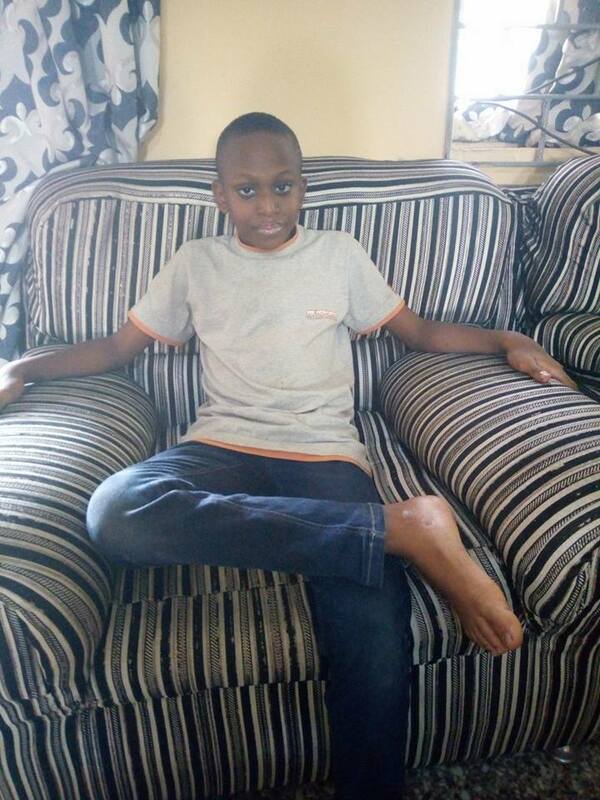 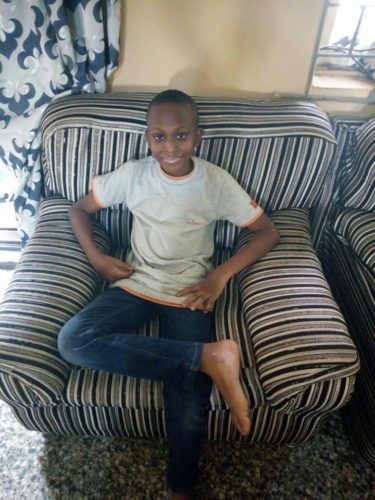 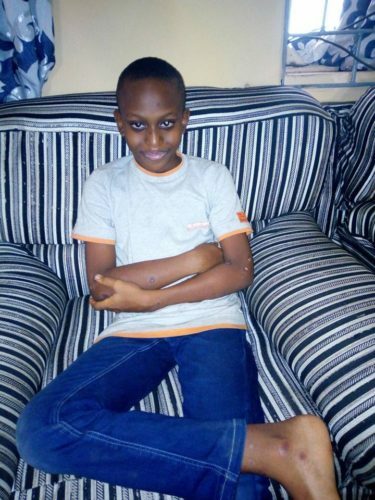 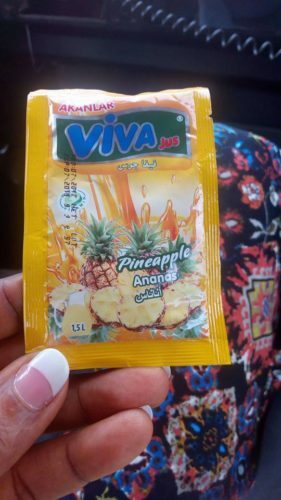 A Nigerian mother, Ifunanya Nwadike, took to Facebook to narrate how her son nearly died after he reacted badly to a fruit juice he consumed. 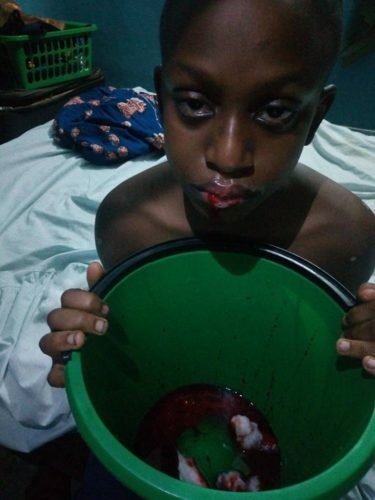 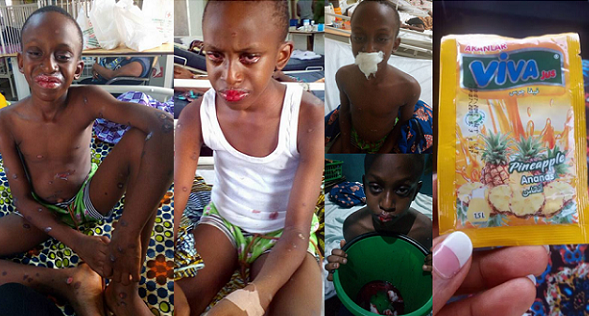 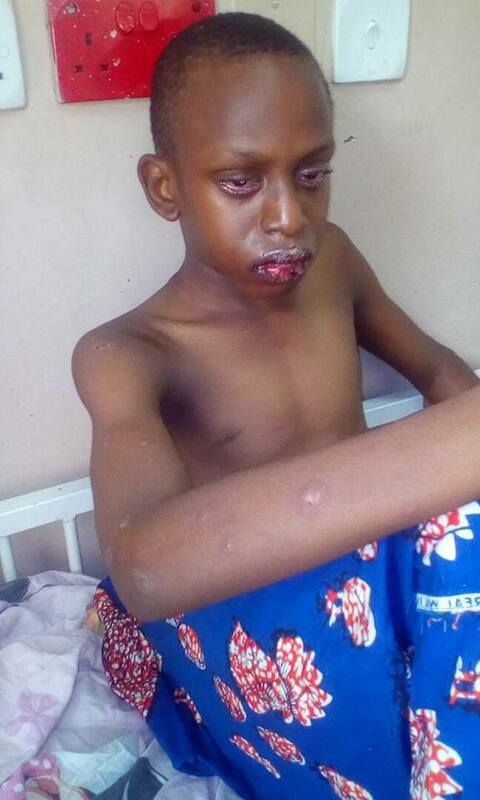  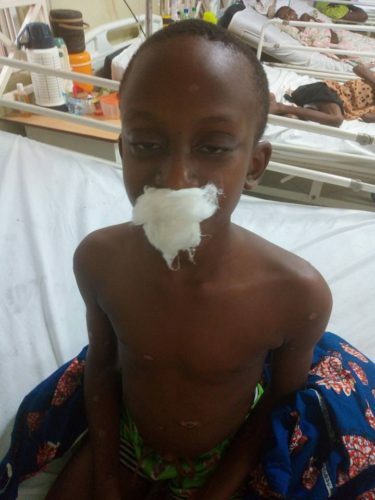 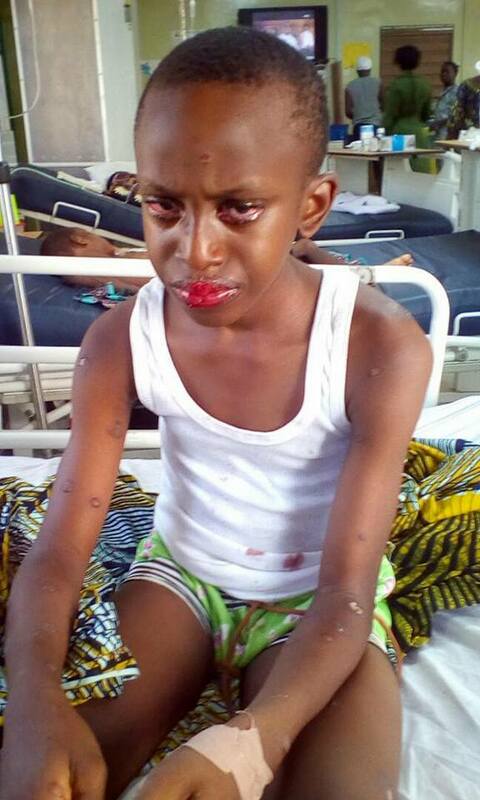 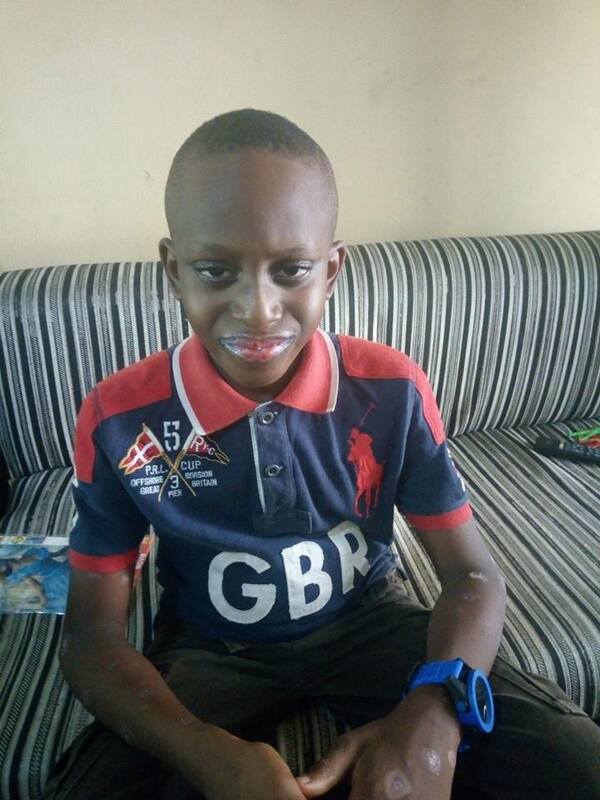 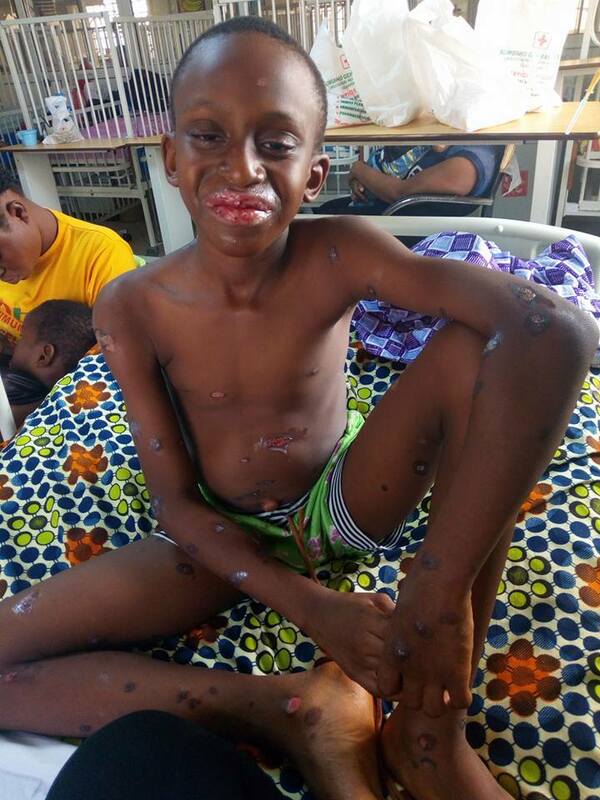 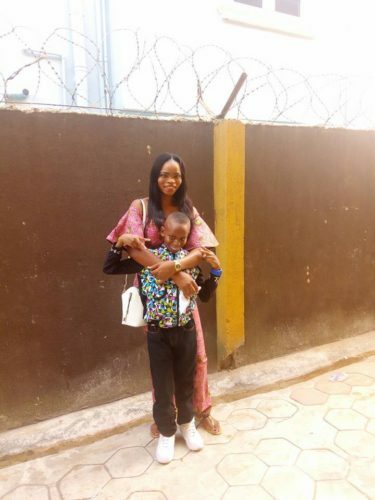 Nwadike revealed that her son, Chibuikem developed a reaction after consuming a pack of juice and he got so sick that his eyes were bloodshot red, his lips were badly bruised and bleeding, his skin was also bruised and bleeding. He was admitted to the hospital in the first week of December 2017 where the doctors found out he was allergic to the juice and that led to him suffering from Steven Johnson Syndrome.